For individuals in recovery, it can be difficult to find a getaway that doesn’t include alcohol and parties, yet taking a vacation is sometimes necessary, especially if you’ve been working hard towards a healthy path in life. Fortunately, there are several sober-friendly vacation spots you can consider, and there are several simple ways you can ensure your trip is safe, fun, and in line with your needs. It’s important to do some research beforehand and find the right destination, check on tour packages or discounts, and think about what you’d like to do on your vacation. Will you want to relax and play it by ear, or have your days planned out? For some people in recovery, knowing what comes next is an important part of staying sober, so you might want to take that into consideration and make some plans for tours and activities. Here are some of the best ways to have fun and stay safe on your sober vacation. Look online to find out what the best sober vacation destinations are for your plans. There are campouts, cruises, and beaches you can attend that have a sober-living vibe, and some of them have planned activities so you can socialize and meet new people. Other destinations are retreats, which feature time spent outdoors, yoga classes, and 12-step workshops. If your sobriety is a recent change in your life, these retreats can be extremely helpful. For an individual who is in recovery, traveling with a companion can be comforting and help with feelings of anxiety or depression. Traveling alone can be difficult, especially if you have a hard time meeting new people, so having your pet there might be just what you need to feel safe and comfortable. Service dogs are especially helpful in times of stress or loneliness; if you don’t already have one, consider getting one. These animals are usually fairly expensive, because they receive special training, but they are wonderful companions and can help with a wide variety of mood disorders. For more information about traveling with your dog, read on HERE. Once you’ve figured out what you want in a vacation, think about what you don’t want. All-inclusive resorts are almost always a bad idea for individuals who are in recovery, because they often feature open bars and events that are saturated with alcohol. If you think you’ll feel uncomfortable in a place where you don’t know the language, consider taking a trip somewhere in the States. Reducing anxiety and stress is the goal, so think about what would make you the most comfortable. 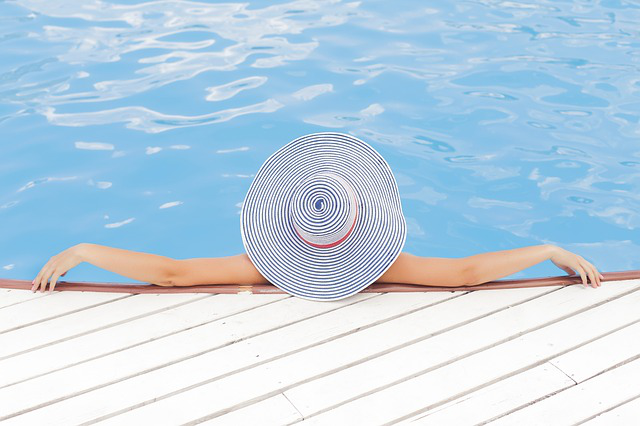 Vacations are usually a great reason to unplug and forget about everything that’s waiting for you at home, but it’s a good idea to stay connected when you’re in rehab. Keep in touch with your sponsor or therapist, or talk to a good friend or family member and let them know where you’ll be, who will be with you, and when you expect to be back. Safety is a priority while you’re traveling, especially if you’re alone. It’s also a good idea not to flash your cash and keep your bag strapped to you at all times when you go out. Make sure your phone is always charged, and never get in a car with someone you don’t know, even if they are part of the same group you’re in on a retreat. For a checklist of all the things to consider during a trip, go here. Keep in mind that your needs should take priority on this trip. Think about what would make you the most comfortable and happy; try new things; have fun. Make some memories and learn to let go of stress and unhappiness.